As an educator and life coach communicating the importance of working with dreams and intuition to discover a deeper and truer sense of self, I wondered how to reach teens. Most of my work has been with adults near my own age who have personal concerns similar to mine: how to keep or improve health and how to live the years beyond age fifty to the maximum. My work with this age group centered on these issues. Teens, however, usually enjoy exuberant good health and are just stepping onto life’s stage with new worlds to create so intuition and dreamwork need to focus on different issues pertinent to them. I thought that putting the spotlight on problem solving would be most effective since teens must do a lot of that in school and in their personal lives. They face many issues which challenge their newly developing sense of who they are. It is all too easy to let others dictate their values and ambitions during a time when peer pressure is extreme. In Dead Men Do Tell Tales, I decided to write about a thirteen year old, Ashlynn Acosta, who is entering high school and strongly desires to fit and succeed. She has many challenges to face and problems to solve. She knows she is different because she has lost her mother, leaving her emotionally vulnerable and without a strong motherly supporter to help guide her. She suffers from nightmares and thinks other might consider her to be a witch because of the prophetic nature of her dreams. With the help of a mentor, Ashlynn learns that how she responds to challenges and problems can serve to deepen her sense self and what is important to her. I was inspired to place the story in Massachusetts because I know Cape Ann well from having lived on the Bat State’s North Shore for about twenty years. Along with a rich history, the area is famous for many of the elements in my story: a diverse ethnic population, witch hunts, fighting fishermen, Yankee ingenuity and the tradition of standing up for all that one holds true. 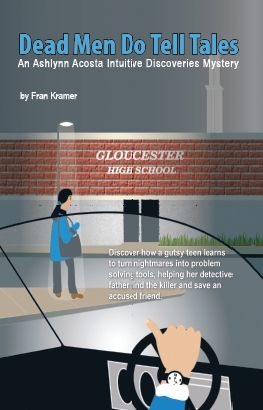 The book’s cover shows an entrance to Gloucester High School, where my heroine Ashlynn goes to school. I am a writer, educator and life coach whose passion is communicating the power of dreams and intuition to problem solve, create, heal and grow spiritually in a dynamic, complex and multi-cultural society where no one point of view prevails. There is an ever increasing need to venture inward to discover the inner compass and find answers that take into account all views and yet respect the integrity of the individual. I write about and teach dreamwork and intuition for people of all ages, recognizing that people in different age groups face dilemmas pertinent to the challenges of their age groups. In 2008 I began to seriously study intuition by connecting to and getting training from the Edgar Cayce Institute of Intuitive Studies where I took an online course on remote viewing (RV). I also received course training and was eventually certified as an Intuitive Heart™ trainer in 2011. I am currently the editor of and a contributor to the Intuitive HeartBeat, a newsletter for the Intuitive Heart™ program. I have taught courses on intuition at the Osher Life Long Learning Institute (OLLI) at the University of Hawaii. Through this work, I was able to hone my skills as a writer and editor of the mystery story genre. These books are essentially about kids learning to problem solve mysteries in cross-cultural and foreign settings. Teens face the problems of trying to understand the society they are just entering, their ambivalent and growing independence from their parents and the need to learn to problem solve on their own in all aspects of their lives. In Dead Men Do Tell Tales, a gutsy teen, Ashlynn Acosta, faces not only the challenge of entering high school and dealing with different kinds of people but also the loss of her mother, the emotional distancing of her father and a murder in which her friend is a prime suspect. These complex situations call for a deep intuitive approach free from prejudice and fear. 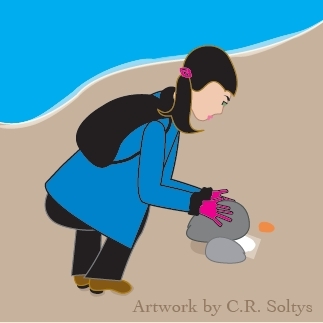 A fast paced story, filled with twists and turns, draws the reader in to explore the workings of intuition as Ashlynn brings light and truth to her situation. The reader not only gets a good read but sees how intuition can be used methodically to gain specific and intentional insight which does not rely on some vague “Aha” out of the blue. 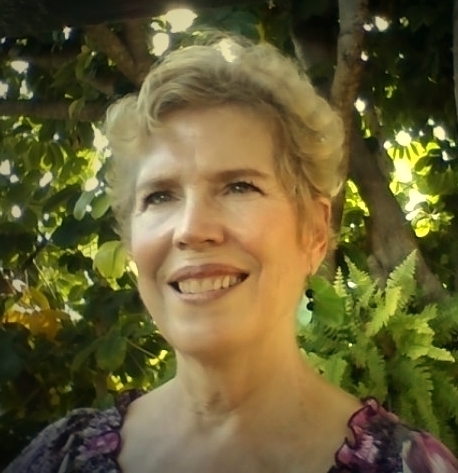 In writing the book, I bring over 40 years of dreamwork, a strong background and training in intuition as well as experience as an assistant editor in helping to develop and edit five published mystery stories for young readers. I have also lived in Taiwan, Japan and the United States for long periods of time, bringing a wealth of cross-cultural experience to my writing and work. I feel that my work and experience in dreams, intuition, and mystery writing well prepared me to write Dead Men Do Tell Tales.